When I'm in a hurry I just put on some mascara and lipstick. It's not much but it helps. I always make sure i wipe my face before I go to bed. I never sleep with makeup on. For a quick fix, i usually get a wash clothe and damp it with hot water and clean my face. and smtimes i just put some vasaline on my eyes and use a hot cloth to wipe it away! When I get home from work and am really tired I try to wash my face then and not wait until bedtime when I am really tired. I cannot stand to sleep in make up. I use make up wipes to take my make up off and then splash cold water on my face before moisturizing! Always wash my face. If I'm too strapped for time to put much makeup on, I make sure I use mascara & lip gloss-- enough to make me feel confident! If I am running late, wash my face, moisturize, a little foundation and mascara. Usually enough to not look scary. I feel like I could do my makeup half asleep (because I do!) but I can't think of one part of it that I could take out because I feel like I have to have a full "face" on in order to leave my house unless I'm working out. But I really could not go without my cream eye liner! To simplify, I go all natural! baby wipes! my go to, in a hurry trick! I make sure to always wash my face before bed and to always use lotion before makeup! I simplify my routine by washing my face in the shower! To save time, i wash my face in the shower with my face wash at the same time! I love tinted moisturizer when I'm in a hurry and don't have time to put my face on. i simplify by just putting on lotion and lip balm, hydrated skin helps a lot. My whole routine is simple. I don't wear too much makeup...but I do love concealer under my eyes. If I don't have much time, that and mascara can hold me over! If I'm in a hurry, mascara and chapstick will do the trick! If I am in a hurry-I use Bare Minerals and some blush..... it makes me feel polished and pulled together!! When I'm in a hurry, I use Physicians Formula Mineral Wear Mineral Correcting Powder on my face. I add mascara and a touch of lip balm, then I'm out the door. Sometimes I put a dab of light colored eyeshadow in the inside corners of my eyes--I read that tip somewhere a long time ago and it really brightens your eyes up! I have naturally curly hair which I like to straighten. But when I am running short on time curly it is! If I'm running late, I just throw mascara on and go. Can't live without my mascara! I use baby wipes to clean off my makeup when I'm too tired to wash my face with face wash. I simplify my beauty routine by wearing my hair in a ponytail some days so I don't have to style it every day. Tinted moisterizer and a pony tail holder is how I simplify my beauty routine! Macara and lipgloss are my go-to for an awake face! I simplify my beauty routine by letting my hair dry naturally and just using a tinted moisturizer, masacara and lip gloss on my face. I wash my face EVERY night. Can't go to sleep with make up on, no matter how tired I am! Thanks for the chance to win! Boy could I use a Spa visit =) Or some dark circle remover!! Ha! In a hurry, I wash my face, put on lotion/sunscreen, swipe my cheeks with my blusher brush, swipe my eyebrows with my eyeshadow brush (gotta love being a blonde), swipe my face with powder, and put on tinted lipgloss. Off I go not looking quite as scary. In a pinch...lip gloss & mascara. Sometimes you gotta do what you gotta do. I just go with little. I normally just do my face washing routine...or you could add lip gloss, etc. I just wear primer and concealer with some lip gloss on my off days. I never go to bed with my make-up on. I use bronzer to make my skin look better when I don't have a lot of time to get ready! At night, I usually just use one of the face wipes to clean my face. I simplify my routine sometimes by not putting foundation on, and only putting eye-shadow, mascara, and blush on. I can usually get by with these three things. I don't wash my hair (it's naturally wavy) and instead brush it against the part and then back again for instant volume! I rely on combo shampoo/conditioner to save a step in the shower. That's my go-to when I'm running behind! When I'm in a hurry, I just use a loose powder mineral foundation to hide imperfections and skip the rest! When I am tired, I use only soap and water. I don't always wear makeup. Put on a bit of Oil of Olay, dab on some lip gloss and I'm out the door. What a great give-away - I am all for an easy beauty routine - and a product that helps with dark circles? SIGN ME UP! I put on mascara and tinted lip gloss. Two words - dry shampoo! It's a great way to get a second day out of your hair without washing and blow drying! I don't wear much/any makeup, so I'm all about the bare minimum of effort! Not much to simplify - it's already simple. I don't do a whole other than sleep and clean my face 2 times a day. No matter how rushed I am, I will NOT do without two makeup basics: concealer and blush. I can be pretty lazy and if I'm tired I just skip the routine altogether and splash water on my face in the shower the next time I'm in it. Most days I simply use soap and water on my face while in the shower. 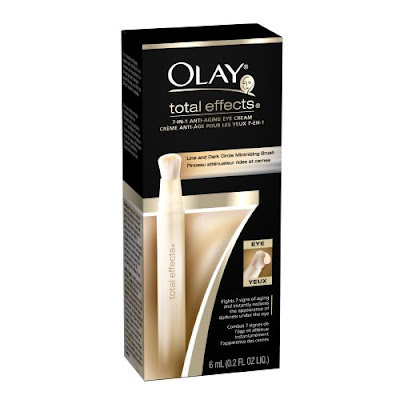 But when I want my face to look extra hydrated and feel noticeably softer, I use Olay Regenerist face wash. I can feel and see the difference! I just do the minimum -- I don't apply full makeup. I use Concealer, Lip Gloss and Lipstick. I'm a pediatric nurse and night shift worker. So I've got simple down to a science, since I don't have the energy to play with makeup most nights. Noxzema to wash, to wake up my face, and Clinique to moisturize. A bit of lip gloss, occasionally a bit of sparkle for my hair, and I'm good to go. This looks like it would be helpful those rare nights I do get dolled up and go out. I'll have to check it out. I've been skipping toner and foundation for a while now, it saves a lot of time! When I'm in a rush, I just let my hair air dry in the car while I'm driving. A good blush that also doubles as an eyeshadow. One quick sweep over the face and I'm done! I always use moisturizer at night to save time in the morning rush. I look for products that are multi-purpose, such as moisturizer with SPF protection. Saves time! If I am in a hurry, I just moisturize, use mineral powder, eyeliner and lip gloss. It takes less than 3 minutes. A quick cleansing followed by a basic moisturizer is good when I'm on the fly. Mine is already pretty simple, but if I'm late or tired, I'll skip the bit of eye shadow I use. Never skip the mascara though! To simplify I use just some moisturizer and bronzer in the summer time. When I've hit the snooze button too many times I use a tinted moisturizer, mascara, and lip gloss. My "Oh NO!?!" routine is some deoderant, some mascara, hair in a ponytail, and a little lip gloss. Fortunately, I can still get away with this! When I'm short on time, I'll simplify by putting on my moisturizer (w/spf) and some lip gloss. Moisturizer makes any face look immediately better and you gotta have the sun protection too. Thanks! When I'm really tired at night I skip taking off mascara. I wake up with raccoon eyes, but there's always a trade off, right? I go with just the basics: concealer, blush, and mascara. I simplify by using a combination sunblock/moisturizer instead of separate products. I have no beauty routine but will bypass drying the hair if rushed. I have to simplify all of the time because I am always strapped for time! Simple face wash, mascara and lip gloss does it for me! Thanks for the giveaway! I wash my face with face wash lotion and use SPF 15 face moisturizer.